Show us your moves, Bobby! 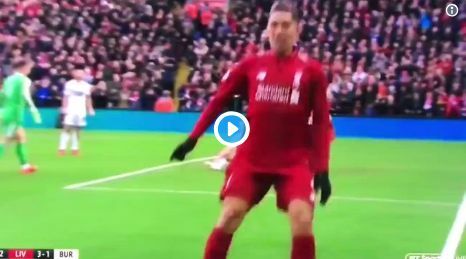 Roberto Firmino debuted a new celebration in our 4-2 victory against Burnley at Anfield this weekend. The people who work at EA Sports will have a job on their hands if they ever want to put all of Bobby’s celebration in FIFA. The Brazilian grabbed two goals against the Clarets as the Reds moved back to just one point off Premier League leaders Manchester City. He has 13 goals in all competitions this term – which is a fairly decent return – although he’s not going to match his incredible tally of 27 from 2017/18.